Ever wondered how those teeny tiny, perfectly sewn narrow hems are made, particularly on lightweight fabric? 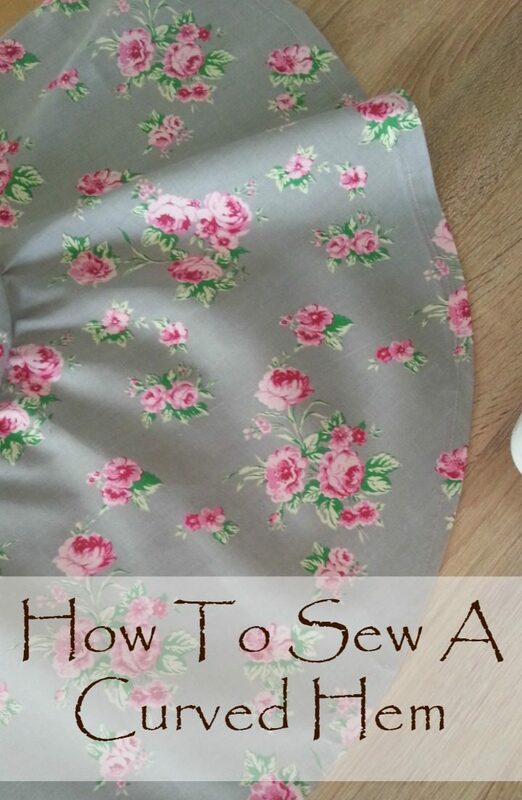 Here you’ll learn how to sew a rolled hem yourself, through the best and easiest method! I love lightweight or sheer fabrics but working with them can get pretty tricky and difficult, particularly when sewing a rolled hem. I found that the best way to make a narrow hem on lightweight fabric is with a rolled hem foot, also known as a hemmer foot. Here I’ll show you how to sew a rolled hem yourself so you can sew the perfect tiny rolled hem on all your projects. If you’ve been meaning to learn how to sew a rolled hem for ages but lacked the courage, I’m here to tell you there’s nothing to be afraid of! In this rolled hem tutorial I’ll teach you the easiest, fastest and most convenient method to make a rolled hem using the rolled hem foot. All you need is a little practice and patience when using a rolled hem foot, particularly for lightweight fabrics. 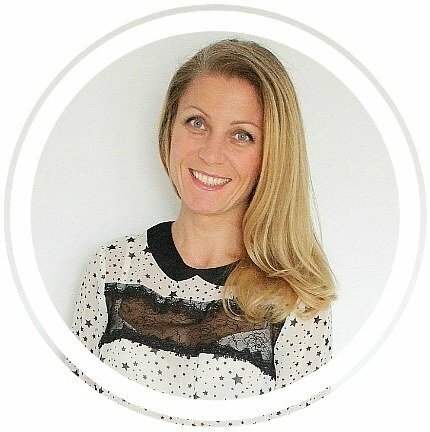 But first, let’s go through some of the most commonly asked questions about how to sew a tiny, rolled hem. What is a rolled hem? A rolled hem is also known as a narrow hem and is used to hem lightweight and delicate fabrics. As a general rule you would use a rolled hem for lightweight to medium weight fabrics. 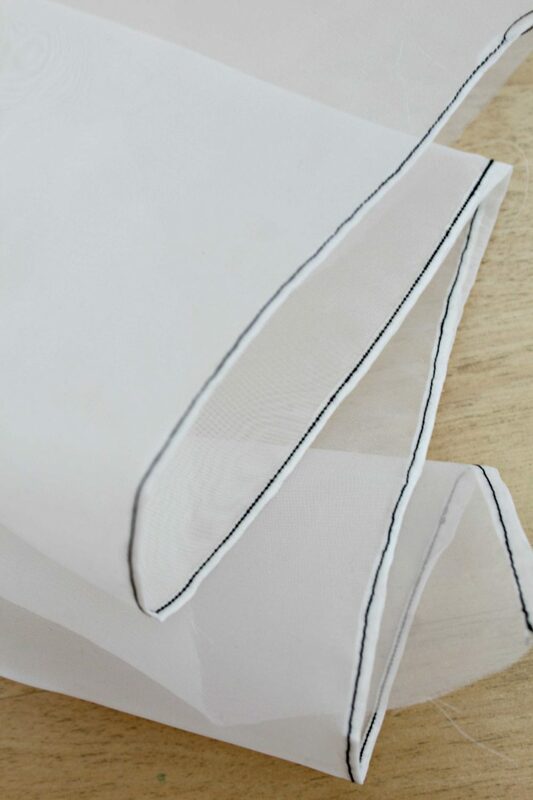 A rolled hem is used to produce a very very small and elegant hem, made up of two teeny tiny folds which is what makes sewing this type of hem a bit difficult if you don’t have the right tool, like a rolled hem foot. 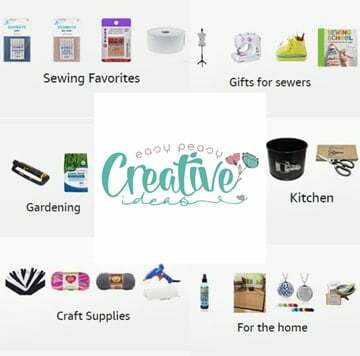 How Do You Sew A Rolled Hem? 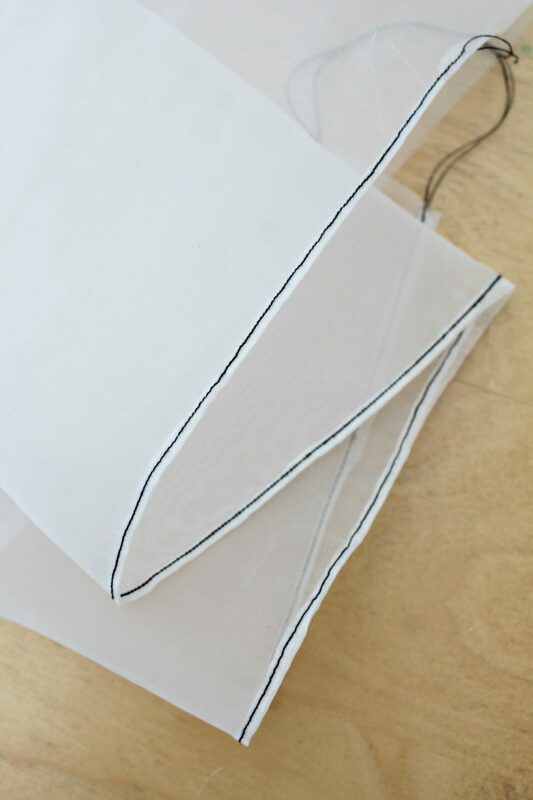 You can use your sewing machine to sew this hem or you can do it by hand. The first option is done through the rolled hem foot and is the fastest method once you get the grip of using the foot. Or you can do a narrow hem without the special foot (see the tutorial here) or sew it by hand which is the slowest method and also doesn’t produce a professional looking hem. What is the rolled hem foot? 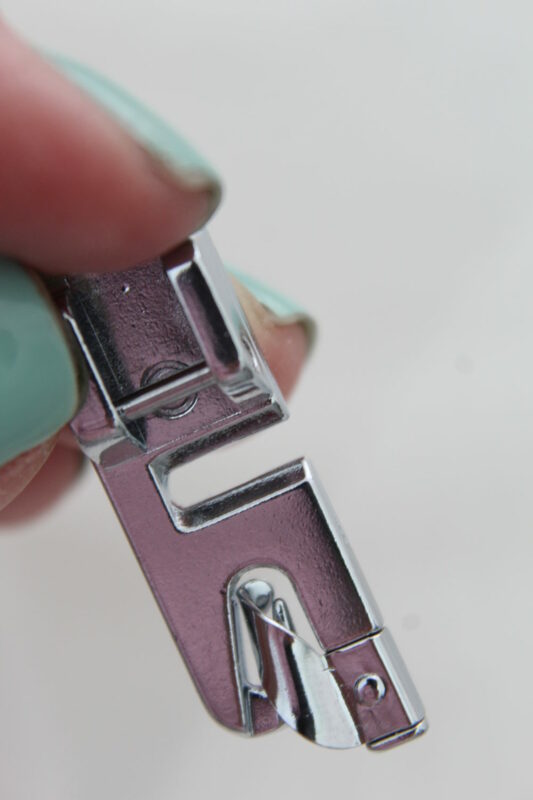 A rolled hem foot sews a very narrow hem, providing a professional edge finish. It features a groove on the back and a funnel on the front side. This is where your fabric will roll up into and will go out through the back, running through the groove while the needle will go through it, sewing the smallest hem possible! What are some of the most important tips to keep in mind when sewing a rolled hem? When using lightweight fabrics, it’s best to use a bit of hair spray to stiffen the fabric a little and prevent it from slipping. It also helps with feeding the fabric through the rolled hem foot too and also for guiding it through while sewing. Leave a long thread tail for easy seam start. Start your seam holding the thread tails. It also comes in handy when feeding the fabric through the funnel in the rolled hem foot. 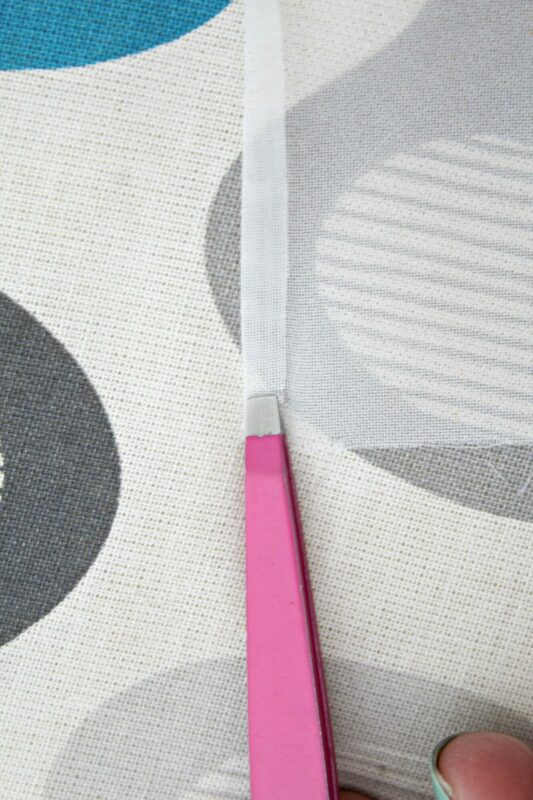 Keep a pair of tweezers on hand to help you with the feeding process. Use the correct sewing needle and thread for the fabric. If you normally use long stitches on your projects, for a tiny hem you’ll need to adjust to a smaller stitch length. Sew slow, work in small sections and stop often to re-fold the fabric or re-feed it through the funnel. Use both hands to guide the fabric through the foot: the right hand will help the fold stay in place while the left will guide the fabric through the funnel. When holding fabric with the left hand, keep a little tension without pulling too hard. Also slightly direct the fabric to the left so that it feeds easier through the funnel. If you’re using lightweight, slippery fabric, start by lightly spraying the hem line with a little hair spray or with your own spray starch. Allow to dry before proceeding to the next step. 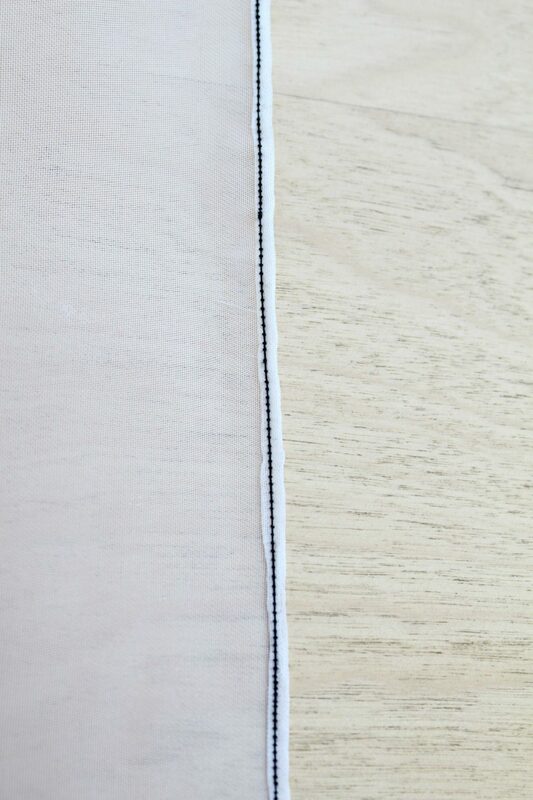 Prepare the first couple of inches of the hem edge. 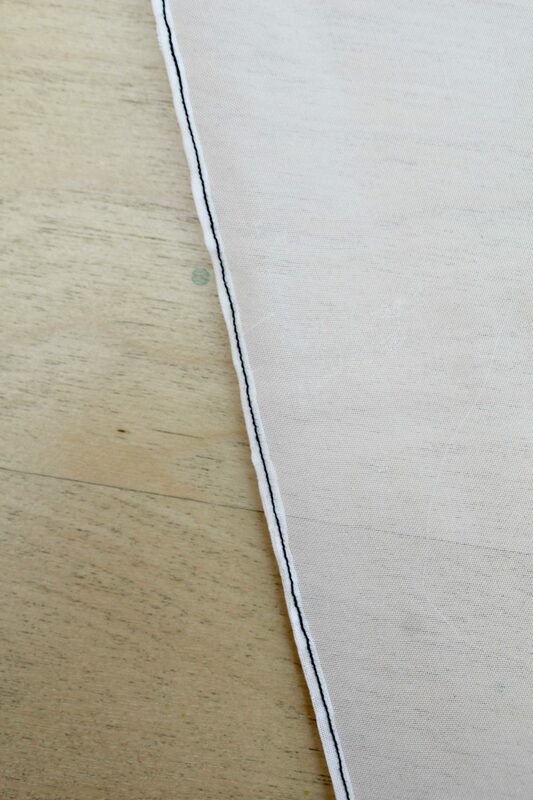 Make a tiny fold in the desired allowance and also to match your rolled hem foot (they come in different sizes). I like to match the fold in my hem with the edge of my foot. 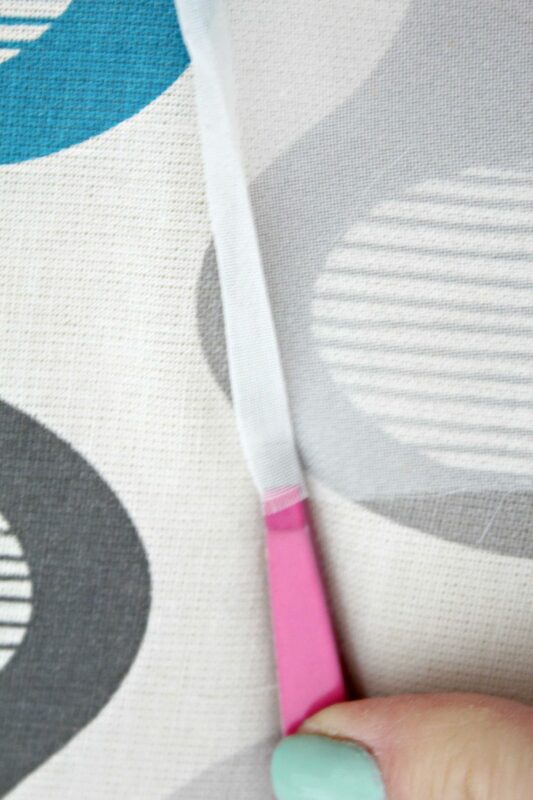 With tiny hems on sheer fabrics, I like to use my tweezers too, to help me make that super tiny fold. Finger press to keep it in place then press with your iron. Repeat the process for a second fold, in the same manner. With the fabric wrong side up, feed the folded part of the hem under the rolled hem foot, making sure you leave some thread tails behind the foot. Now carefully line up the folded outer edge of the folded hem to the inner edge of the presser foot’s right leg. While gently pulling the thread tails away from the machine, slowly stitch 2-3 stitches into the hem to secure it in place, using the hand wheel. Lift the foot but keep the needle into the fabric. Begin to feed the folded hem into the funnel (curled portion of the presser foot). Use the thread tails and a pair of tweezers to make this process easier and faster as feeding teeny tiny hems through that teeny tiny funnel can prove to be a challenge. Lower the foot and sew slowly, making sure to keep the fold positioned over the funnel portion of the rolled hem foot. 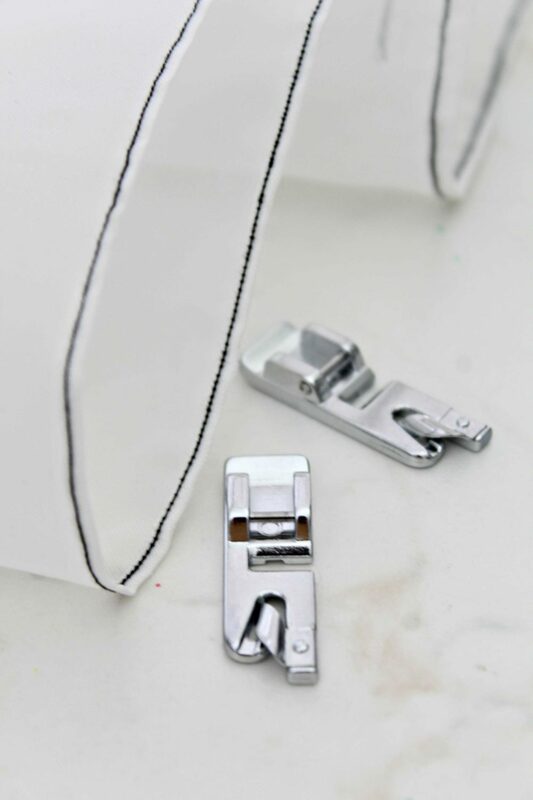 With your right hand continue to help the fabric fold down as you sew, while feeding the folded edge into the funnel with your left hand, as evenly as possible. Wasn’t this super easy? Now that you know how to sew a rolled hem, I’d love to see how you’ve put this into practice so feel free to shoot me an email!